Herrenknecht Formwork | Bauma 2019: Thank you! 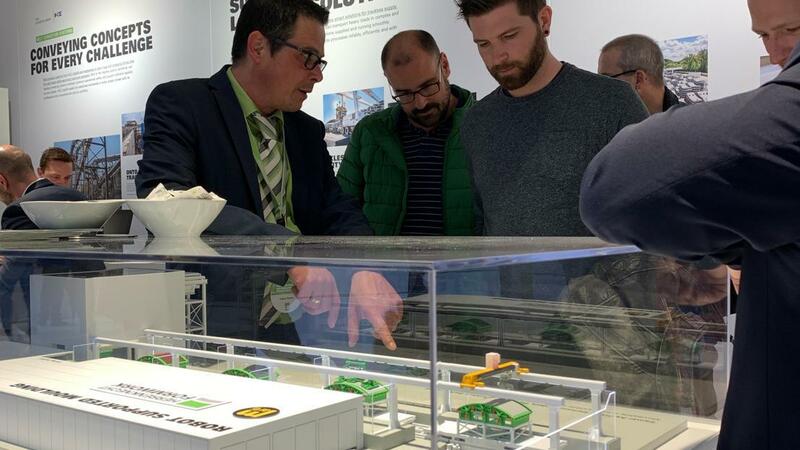 More than 620,000 visitors participated in the Bauma 2019. For Herrenknecht Formwork too, the exhibition has been a great success. In our future segment production plants, robots take over simple tasks with high demands to accuracy and production speed. For the 8.2 km long Semmering Base Tunnel, 49,200 lining segments are produced from 147,000 m³ concrete in Austria. The team of the JV Boßlertunnel produced more than 60,000 concrete segments on a Herrenknecht Formwork carousel plant. Perfect concrete protection for the future: In one-pass segmental lining with Combisegments®, no joints need to be welded. Short delivery times and customized product and service packages: Herrenknecht Formwork supplies 3 carousel systems. With this slogan the Herrenknecht group welcomed their guests to visit the leading world construction trade fair in Munich. The presentation focused on new dimensions, new challenges, networked thinking and a partnerlike cooperation when realizing tomorrow's mega projects. In this context Herrenknecht Formwork has shown an innovation in segmental lining: robot supported segment production. We thank our visitors from all over the world for the great interest in our innovation and the many constructive conversations. After an eventful exhibition week, new challenges are waiting for us, which we will take up together with our customers: FORMING YOUR PROGRESS!